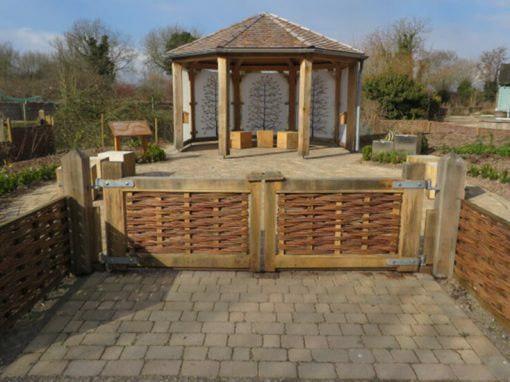 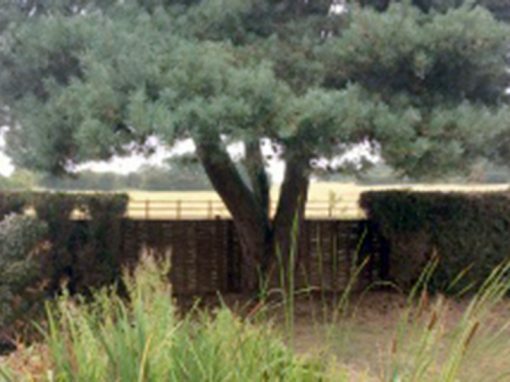 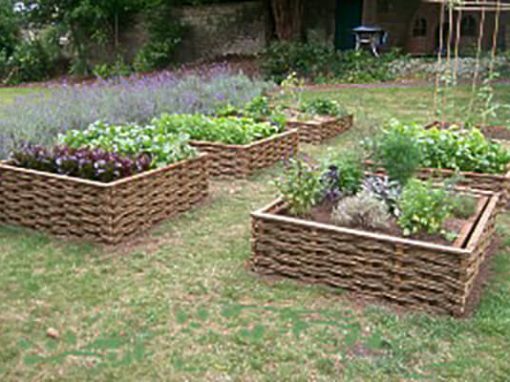 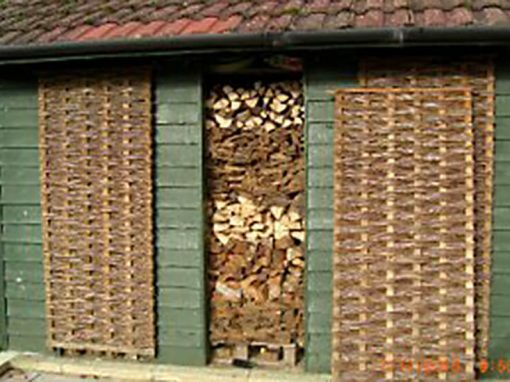 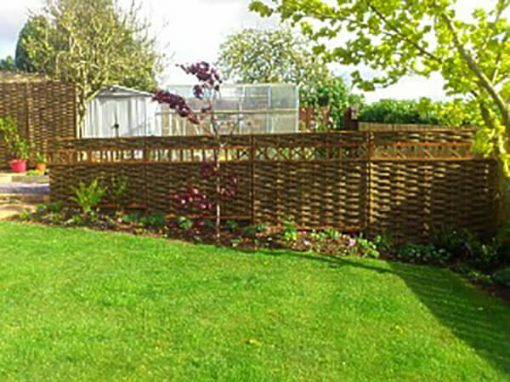 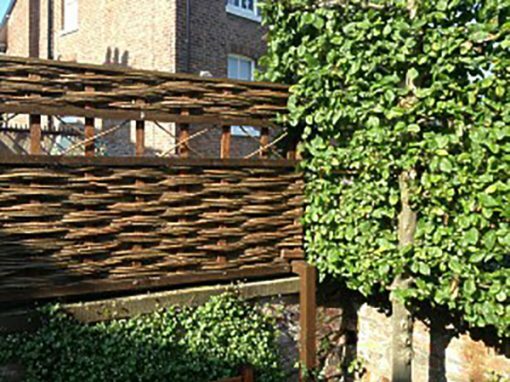 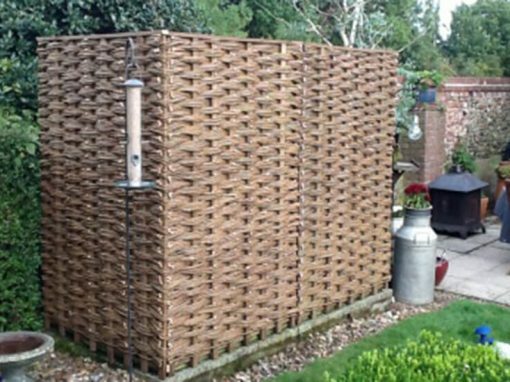 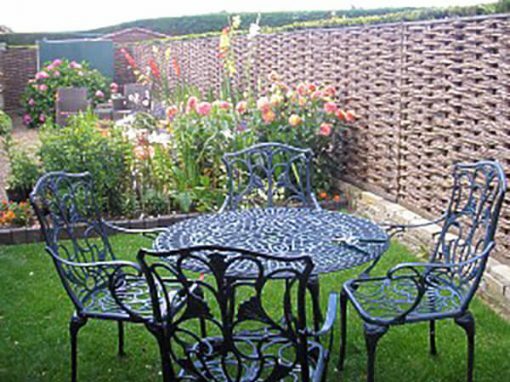 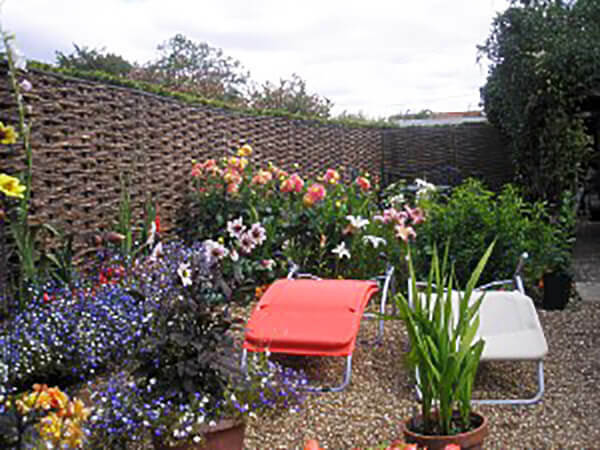 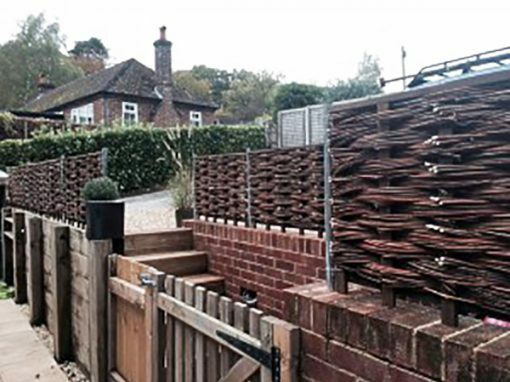 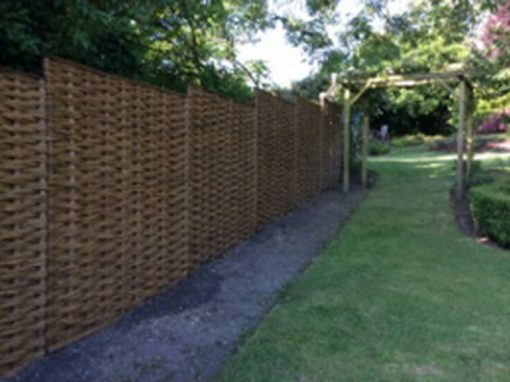 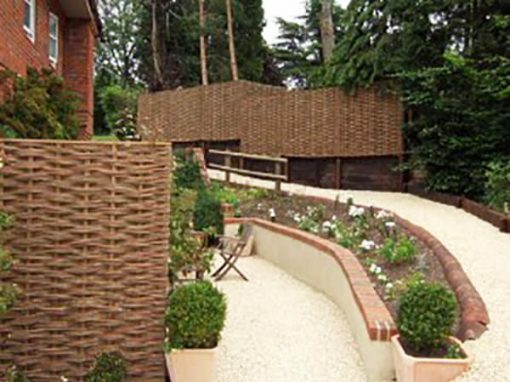 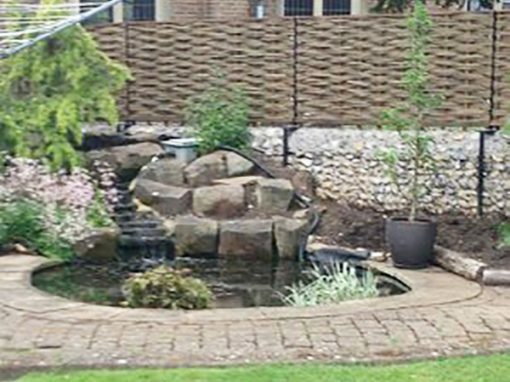 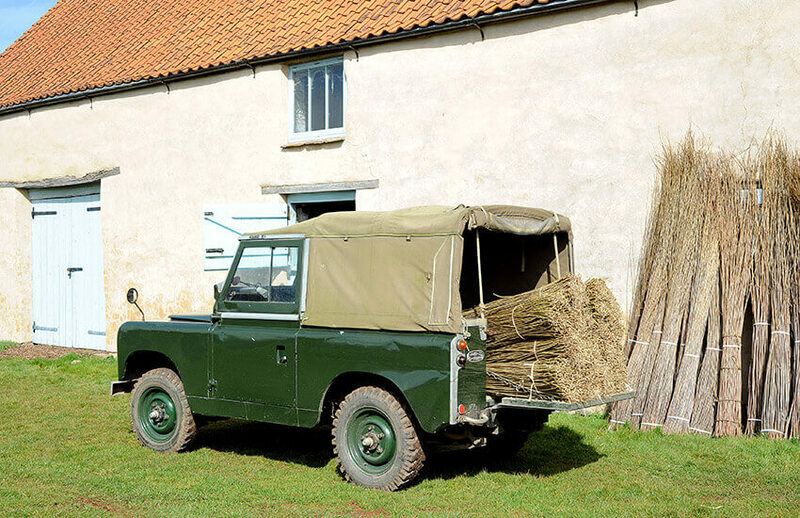 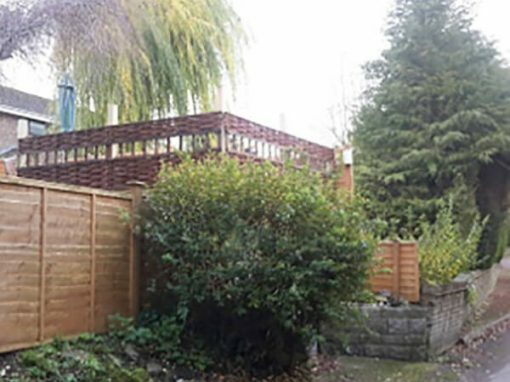 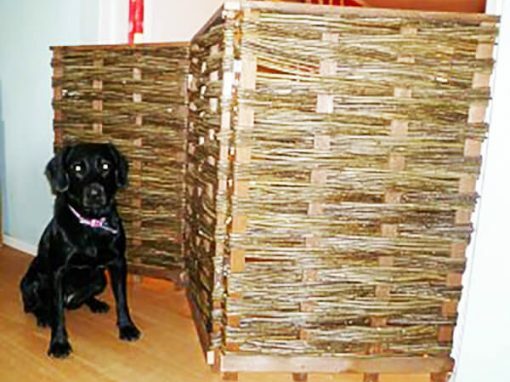 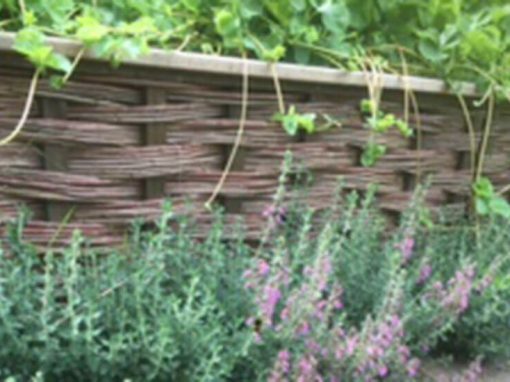 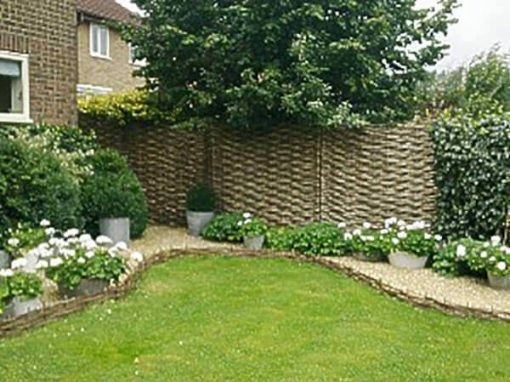 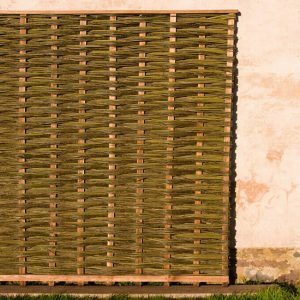 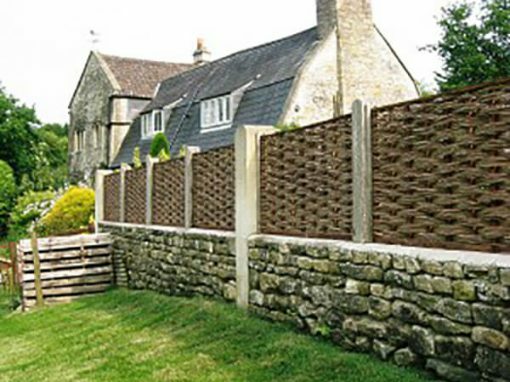 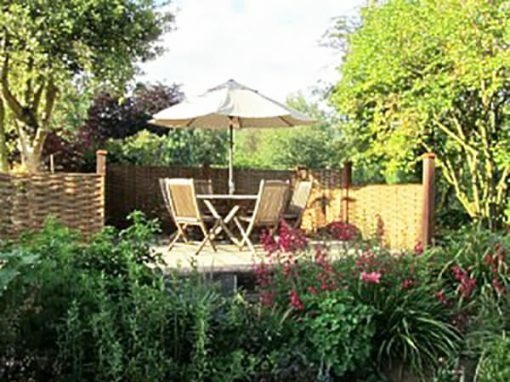 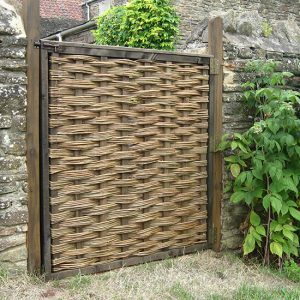 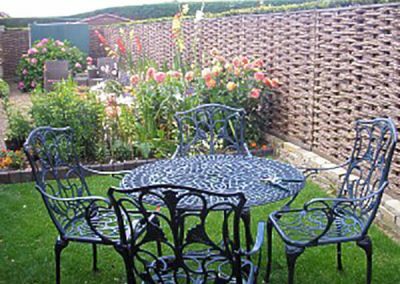 Creating a private garden in Norfolk with willow hurdle fencing. Sunny spots in a garden are valued for sunbathing, relaxing and enjoying meals outdoors. 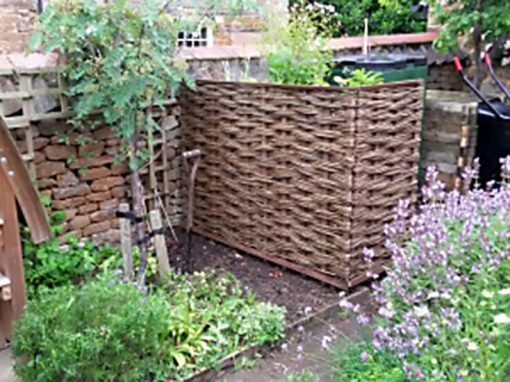 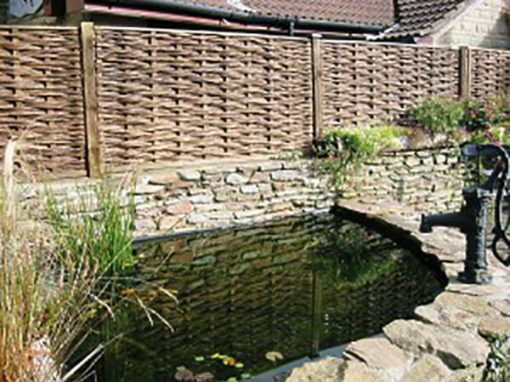 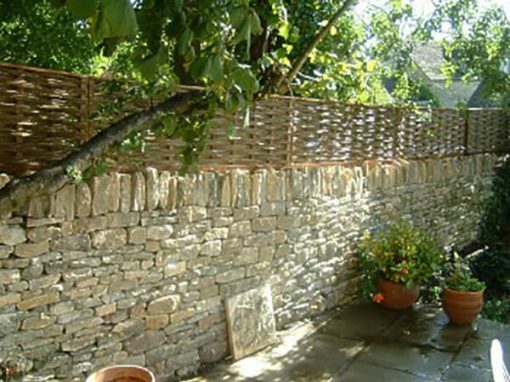 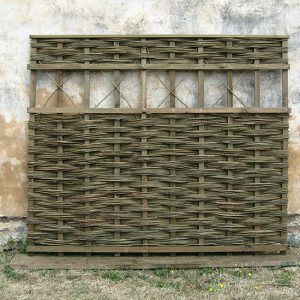 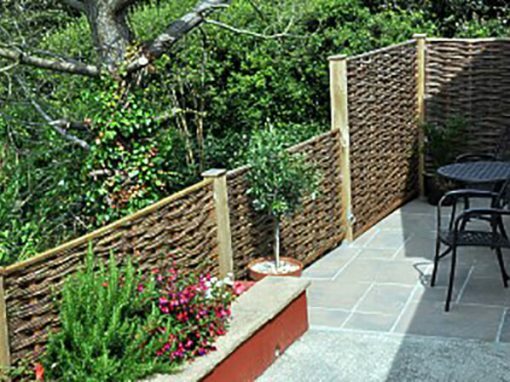 The willow hurdles are screwed to a post and rail and provide privacy for this sunny area of the garden.